In California, annual precipitation amounts vary greatly within and between years but this current year is historic! Many long time ranchers are saying that they have never seen conditions like these. As ranchers know, the timing and subsequent early rainfall received during this year greatly impacted the amount of forage produced. The lack of early rains will severely impact forage, especially on rangelands that are predominantly annual species. As this year progresses without rain, forage recovery becomes more and more critical. 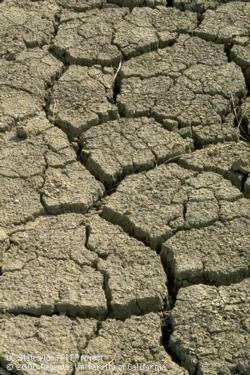 Annual species may still germinate if rains continue, but they will die due to lack of subsequent rains. The lack of this early forage production will result in forage losses over all range and pasture lands. Good health and performance records of livestock can assist dairy and livestock producers in making sound management decisions. During this drought, this information is especially critical when making management decisions, especially if culling animals becomes necessary. You can’t “feed” your way out of a drought, and herd reduction may become necessary. Use health and performance records to make these decisions to ensure that your best genetics are maintained. Additional recommendations follow. Grouping of grazing animals: Livestock can be grouped according to nutritional needs to allow for proper feeding of each group and ease in assessing body condition score. Weaning calves and lambs: Young stock should be weaned as soon as possible, allowing mature females to stay in better body condition. Selling/Destocking Livestock: Producers should “pregnancy check” all heifers, cows and ewes for pregnancy and cull those that are open. The most desirable younger stock should be kept to maintain developed genetics. This way the producer can save valuable breeding stock and replenish the herd after the drought has broken. Dairy and livestock producers have their own cow- culling criteria which are used every year, but this year producers may have to go beyond the normal criteria in order to further reduce herd size. Cow- culling should be based on productivity; a common practice is to cull non-productive cows from the herd. This is a time when you can’t afford to feed cows that are not producing at an adequate level. Giving cows a second chance and keeping those cows that wean smaller calves are practices that compromise the health and productivity of your higher producing cows, your entire herd and your ability to survive this drought. As was stated earlier, producers should not “feed” out of drought. However, producers can provide additional supplemental feed to offset the reduced forage production. Supplemental feeds provide additional protein and energy to animals; and familiarity with the nutritional value of these feeds is critical during the drought. High-energy Feeds: Grains, barley, corn and wheat are grains that can be fed to livestock. 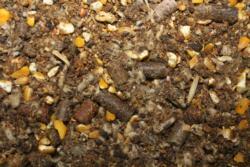 Check the availability and price of theses feeds when formulating your rations. Molasses is an excellent energy source used to increase palatability. Liquid supplements: These can provide either protein or energy and are used in conjunction with low-quality dry forage when it is available in adequate amounts. By products: By-products can be fed to animals in times of feed storage. There are three major issues with many high moisture byproduct feeds: odor, nutrient flows from piles, and flies. 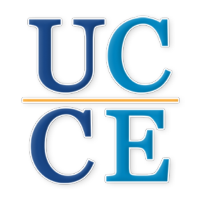 For more information on feeding by-products consider UCCE publication: By-products and Unusual Feedstuffs in Livestock Rations or contact your nutritionist when formulating rations. If your animals are exposed to drought conditions for some time, their maintenance requirements will decrease and a lower feed level will be adequate. The gradual reduction of feed allows animals to adjust to the lower level with minimal effects. Dairy and livestock producers should take precautions to ensure that animals do not become too thin, or even weak, as greater quantities of feed will then be required to bring them back to good condition. Sound range management strategies can assist dairy and livestock producers in surviving this drought. There is no single management practice to be applied; all strategies should be evaluated carefully in terms of cost and expected returns. Each producer must evaluate these options and select those best suited to the unique conditions of their operation. Pasture Rotation: A grazing plan that would allow areas to be rested after grazing would help accomplish this goal. If more pastures are available to graze, develop a strategy that includes rotating through these pastures and provide water and supplement to help animal distribution. Producers can also change feeding areas to improve grazing management. Pasture Utilization: Producers can use the “aspect” or position of the pasture to maximize the forage that will be produced. Take advantage of south and west aspects early in the grazing season, grazing the earlier maturing forage before it dries. Then grazed forage on north- and east-facing pastures. Swales: Rangelands and pasture with deeper, more fertile soils, hold water longer (swales), and will produce more forage. During this cold winter season, however; these areas are growing at a slower pace. Producers may want to install temporary fencing placed around these swales and “bank” feed for spring. These later maturing plants will help extend the growing season. Use nitrogen fertilization: If and when it rains, applications of nitrogen fertilizer will produce a quick forage production response, as long as it keeps raining. This can also increase forage protein quantity. Poisonous plants: Poisonous plants can become a bigger problem during drought. Recently, livestock producers in Solano/Yolo Counties experienced cattle deaths due to cattle consuming the seeds of buckeye tree. California buckeye (Aesculus calfornica) is native to California and is commonly found throughout our rangelands. A lethal dose for calves is about 1% of its body weight, consumed over a day. During past droughts, oak toxicity problems have also occurred. Oak toxicity occurs when oak tree buds, leaves and fresh acorns are consumed. High-quality, accessible water: Water for livestock is critical, and during drought, more difficult to obtain. Several producers are currently purchasing water for their animals. Additional sources of water (springs, seeps, water tanks, ponds, or reservoirs, and wells) should be explored and developed. Producers can work with the Natural Resource Conservation Service (NRCS) and local Resource Conservation Districts (RCD) for assistance with designing and cost sharing of these improvements. View NRCS Drought Resilience & Sustainability on Rangeland on YouTube.